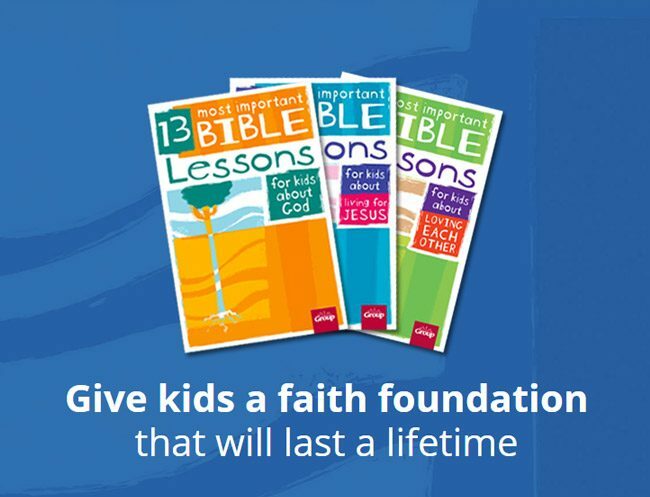 This set includes all three 13 Most Important Bible Lessons for Kids books! Save 20% on the three-book set! The 13 Most Important Bible Lessons for Kids series is kid-sized theology that really cements the fundamentals of faith into kids' hearts and heads. GOD'S BLUEPRINT: 4-Week Multi-Media Lesson Pack contains a Graphics Pack, teaching video, and 4 complete Bible-based lessons and helps elementary-age kids discover that even though we make mistakes and aren't perfect, God loves us perfectly and created each person to be unique. They'll learn that God gave each of them important gifts, and they'll receive assurance that nothing can separate them from God’s love. 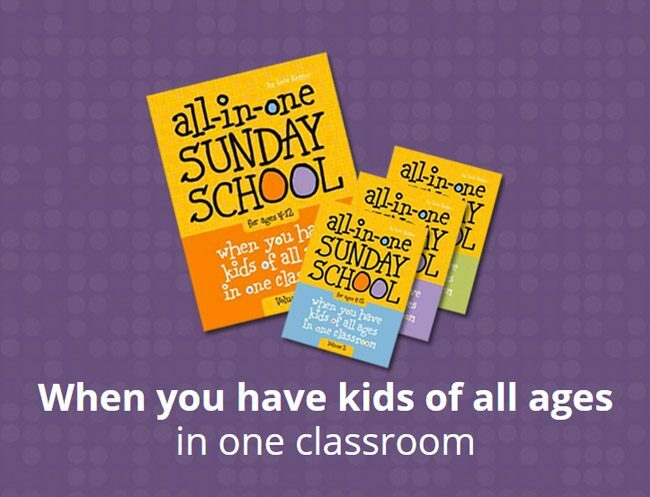 Each of these 4 lessons is packed with fun activities, engaging learning experiences, and thought-provoking discussion questions that'll deepen kids' faith. Perfect for mixed-age classes of elementary kids. Lessons are flexible and can be adapted to a variety of classroom formats. DECISIONS, DECISIONS: 4-Week Multi-Media Lesson Pack contains a Graphics Pack, teaching video, and 4 complete Bible-based lessons where elementary-age kids explore how important their decisions are and how they have an effect on others—even the little decisions that don't seem to matter. FOLLOW THE LEADER: 4-Week Multi-Media Lesson Pack contains 4 full-bodied lessons that help elementary-age kids explore how we can honor those in authority in our lives. 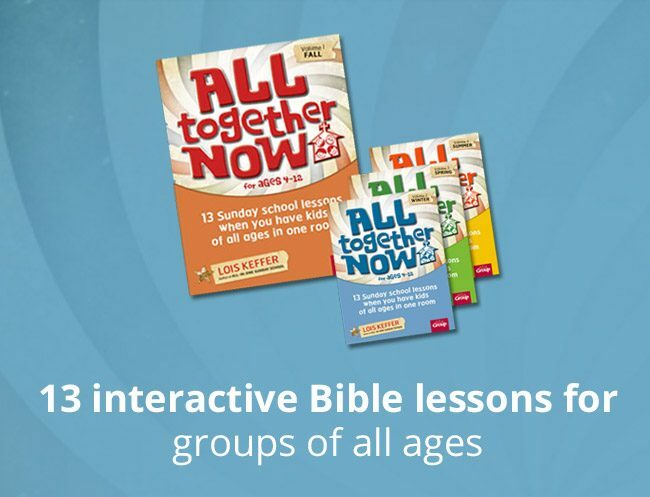 Each of these 4 Bible-based lessons is packed with fun, relational activities, engaging learning experiences, and thought-provoking discussion prompts that'll help deepen kids' faith. 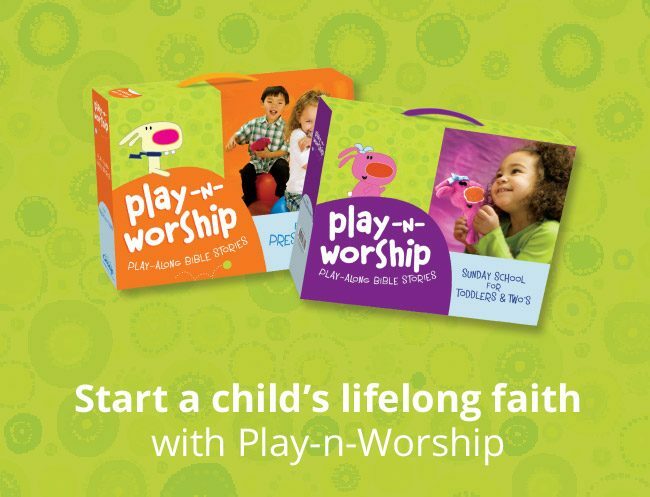 GOD IS...: 4-Week Multi-Media Lesson Pack includes a Graphics Pack, teaching video, and 4 complete lessons that help kids gain a deeper understanding of who God is in each of their lives. They'll dig deep into what the Bible says about God's power and holiness. 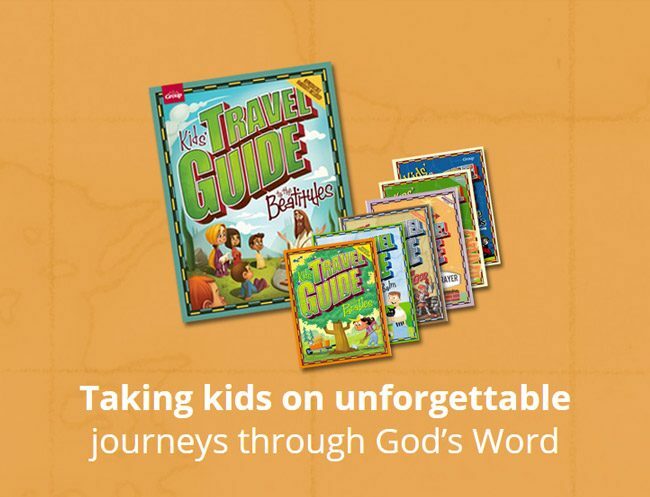 Each of these 4 Bible-based lessons is packed with fun, relational activities, engaging learning experiences, and thought-provoking discussion prompts that will help deepen kids' faith. This 4-week multi-media lesson pack contains a Graphics Pack, teaching video, and 4 complete Bible-based lessons. In Jesus: The Real Deal kids gain an understanding of how following Jesus isn’t about being perfect or following a list of rules, but about showing love. They’ll learn that Jesus is truthful—he’s God’s Son and we can trust him. They’ll hear about how Jesus is worthy of our praise because he defeated death, and they’ll be challenged to think about how Jesus was the biggest winner even though he didn’t have a lot of money, a big house, or fancy clothes. Perfect for mixed-age classes of elementary kids. Lessons are flexible and can be adapted to a variety of classroom formats. This 4-week multi-media lesson pack contains a Graphics Pack, teaching video, and 4 complete Bible-based lessons. In Family Feuds, elementary-age kids learn about how to live in harmony with their families and that obeying their parents is the right thing to do. They'll hear that God wants us to get along with our siblings, forgive one another, and look out for the interests of others. THE BIBLE: 4-Week Multi-Media Lesson Pack contains a Graphics Pack, teaching video, and 4 complete Bible-based lessons. 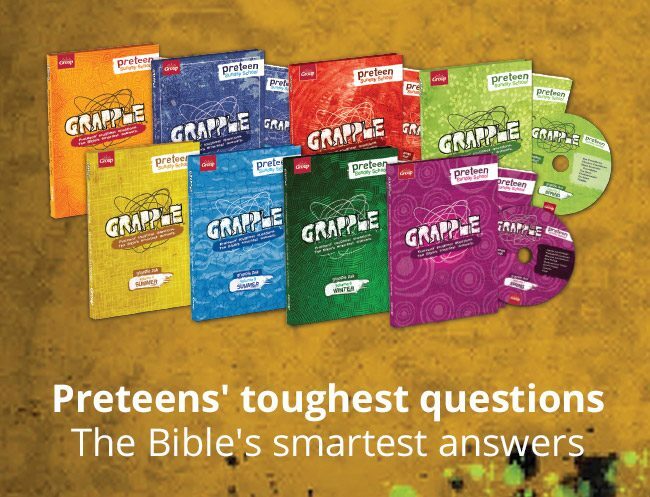 Here elementary-age kids discover that the Bible is alive, powerful, and true. They'll explore how the Bible tell us everything about God that he wants us to know, and they'll learn that the Bible is a message directly from God to share his love for each of us. 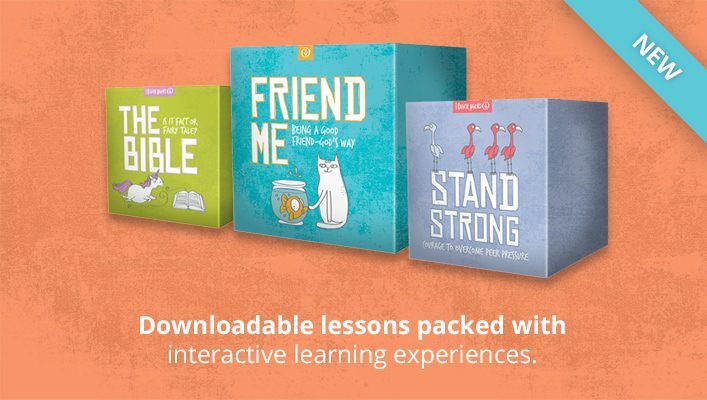 STAND STRONG: 4-Week Multi-Media Lesson Pack contains a Graphics Pack, teaching video, and 4 complete Bible-based lessons that help elementary-age kids explore what it means to live for others' approval--or for God's. GOD’S TEAM is a multi-media 4-week lesson pack where elementary-age kids learn that God has given us his armor to protect us against Satan. They’ll discover why Jesus is the only way to salvation and how other religions twist God’s truth. These engaging, Bible-based lessons also include videos and a professionally designed Graphics Pack. In God’s Team, kids learn that God has given us his armor to protect us against Satan. They’ll gain an understanding of why Jesus is the only way to salvation and how other religions twist God’s truth. They’ll hear about how pride can take our focus off of God and why people sometimes reject Jesus—and that serving God is a choice. FRIEND ME: 4-Week Multi-Media Lesson Pack contains 4 full-bodied lessons that dig deep into what it means to be a true friend--to ourselves, our peers, our enemies, and even to Jesus. This 4-week multi-media lesson pack contains a Graphics Pack, teaching video, and 4 complete Bible-based lessons. In WHAT IN THE WORLD? It’s in God’s Hands, kids are challenged to be a difference in the world, using their gifts to serve God and others. They learn how we’re called to live at peace and get along with others, and they’re encouraged to give cheerfully to those who have less. They also hear about what they can do to protect and care for the earth. FREE ADMISSION: 4-Week Multi-Media Lesson Pack contains 4 full-bodied lessons that let kids gain a deeper understanding of Jesus' sacrifice for our eternal life and what it means for all of us.